In Asia, finance departments are looking to implement innovative solutions. As the challenges in volatile market conditions including cost pressures mount, the promises of automation and useful intelligence are self-evident to the CFOs and treasurers. A majority of the 1,000+ respondents to the 2018 Treasury Review say they have not been able to apply big data analysis, artificial intelligence, cloud computation, blockchain, or virtualization in their treasury or finance departments. In some countries, including India, more than 75% of respondents have not toyed with any of these solutions. Although proof-of-concept case studies employing new technologies are widespread, the business case for many corporates is still elusive. 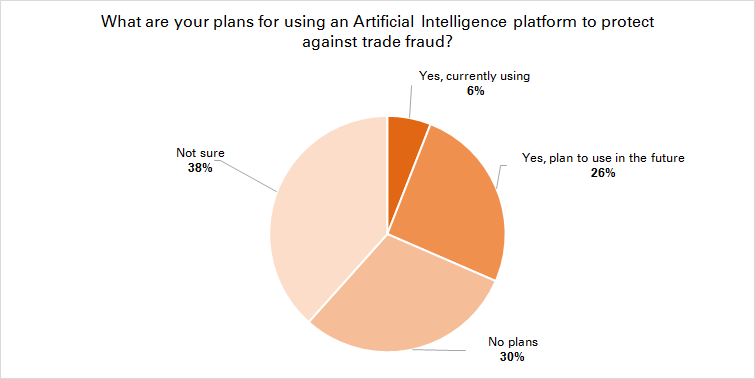 Artificial intelligence based platforms that can help automate manual processes in trade finance documentation, for example, are not well understood. Nearly 70% of respondents say they have no plans to employ AI in their business or are not sure how any such technologies can assist their day-to-day processes. 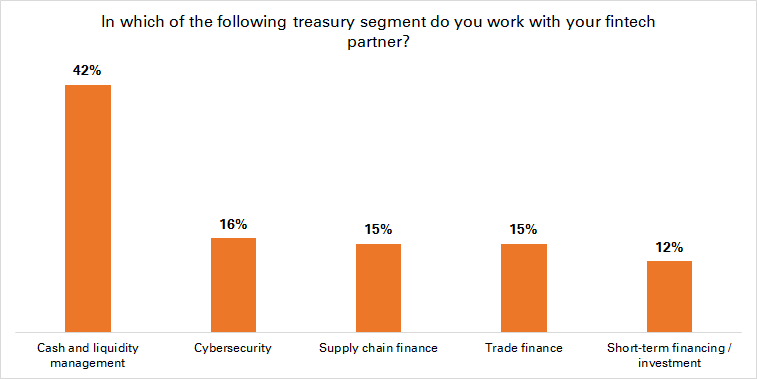 Similarly, only 6% of respondents say they currently work with a fintech provider for treasury and reporting management. Strategies to protect companies against cyber security threats are another area that receives greater attention by corporate finance departments, such as the infamous President’s E-Mail have cost companies millions in hard cash. Yet, strategies to combat such threats still focus on manual detective rather than preventive control. Two thirds of respondents rely on a well-controlled environment, while 54% place their reliance on educating staff. Fewer than one in three companies model a worst-case scenario through mock breach scenarios or the like. Automated controls that continuously monitor data flows for signs of compromised information could find application in this space. While Chinese companies lead the competition in many respects (more than 40% claim they have had exposure to big data analysis in their finance department), fewer than 15% of companies have so far been able to find any use or successfully implement AI, cloud computation, blockchain or virtualization solutions. Among those companies who already say they work with fintech providers, some appear to classify their peer-to-peer lenders as fintechs. Indeed, at 78%, cash and liquidity management is the number one area in which respondents believe fintechs can make the biggest difference. Cybersecurity and other areas follow at just 30% or less. While only 10% of companies assess their finance departments as value-added centres today, 40% hope they can be within three years. With the aim clear for corporates in the APAC region, the path to get there is less obvious. Tellingly, their first port of call for help may not be in the form of a small start-up in San Francisco, but new teams among household name brands. Indeed, of those respondents currently working with fintechs, half name units or subsidiaries of large established banks or corporates when asked who exactly they work with. In Asia particularly, the drive for automation and intelligent new technologies in the finance and treasury departments may be an opportunity for established players. One in four respondents note they only use one bank for their cash and liquidity management needs at the moment. 40% use two or three and only around one third of respondents use four or more banks. In markets like Taiwan, despite the multitude of banks, a majority of respondents (61%) say they only use the services of two to three banks for their cash and liquidity management. This is likely to change as corporates seek new perspectives. Already, 29% of respondents comment that they have increased the number of cash management providers in the past 12 months. Among large corporates, 38% say they have done so. This is the strongest indicator in many years of the Treasury Review that corporates are ready to switch allegiances for their cash management services. Banks able to offer straightforward advice on how to implement next generation technologies will benefit most from the trend. Who can best plug the SME non-funding hole?